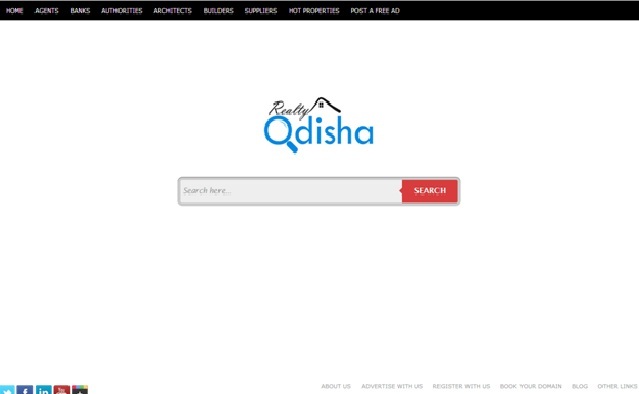 Realtyodisha.com is Odisha’s fast growing real estate information portal offering a wide range of services like buying, selling, renting, and leasing. This information portal is established in the year 2009 to symbolize the real estate market of Odisha. RealtyOdisha always try to provide the maximum possible informations about Odisha’s property. This website also provides the valuable pages like Agents, Banks, Authorities, Architects, Builders, Suppliers, Hot Properties, Post a Free AD, Advertise with Us, Register with Us, Book Your Domain, and Suggestions. The main mission of RealtyOdisha is to introdue Odisha’s vast developing real estate market to both India and Out side countries.